Levitate a ball. Fans and blowers. HELP, WHICH USE. Hi, I have a question about fans and fluid mechanics. My project consist in levitate a ball(or any aerodynamic object) by air , the ball will be in a tube and the fan will woks with out dust or big particles( clear air ). (Then i will use a close loop control but this is other matter). 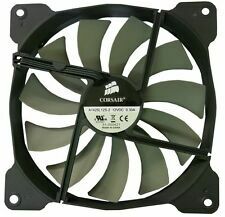 There are fans that priorize air flow vs static pressure , and my question is wich type of fan i need to use here . ( I can use axial fans or centrifugal blowers). (I know that i need to use bernuilli equation to know the pressure aply to the ball(and the drag equation later), but i dont know if i need high air speed/air flow or static ourtput pressure). I think the drag must come first. Once you have the coefficient of drag, and the mass of the ball, and the size of the ball, you can work out the flow rate you require. Once you know the flow rate you require, you can then find out what sort of fan you will require to provide this flow rate over the ball. You will not achieve ideal flow, that is just theoretical. You will not want oscillating unsteady, because then the ball will move from side to side with the oscillating flow. Note that for a sphere the reference length in the Reynolds number equation will be the diameter. Generally speaking axial fans are for pushing high volumes of air at low pressure .. These are fairly cheap, axial , extremely powerful ,and compact, use brushless motors , running on low voltage DC ... a number of these in parallel would certainly work.... or if the ball is no heavier than about 500gm just one fan. They come in many sizes (see eBay). The advantage to this type is you have complete control over the air flow by varying the current .... This is not the case for most centrifugal fans. I would think about what you will do with the fans when the project is over and dismantled , let this have some bearing on your choice . As is often the case not enough information has been provided to give a good answer .... Is this 'heavy' ball 100 gms or 100Kgms and how big is the tube???? Last edited by oz93666; Jul 17th 2018 at 05:18 AM.